Gaylon Scharbor - I heard you speak at the NWA Quilt Congress this past year. You and your husband are great. Any guild who gets you to speak and teach is blessed!! You're the winner of the cruise patterns/giveaways. Thanks for commenting. 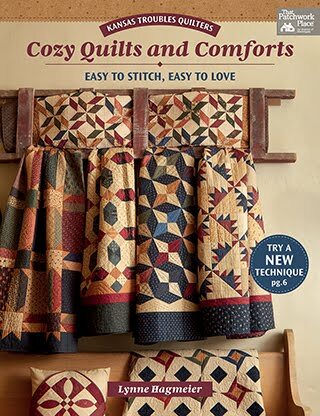 Hope you can come with me on a quilting cruise someday. It's always a pleasure to hang out with Jenny & Ron Doan. Cruisin' and quiltin' are a great way to squeeze some buddy time into our busy schedules. What a truly enjoyable week of work/play. 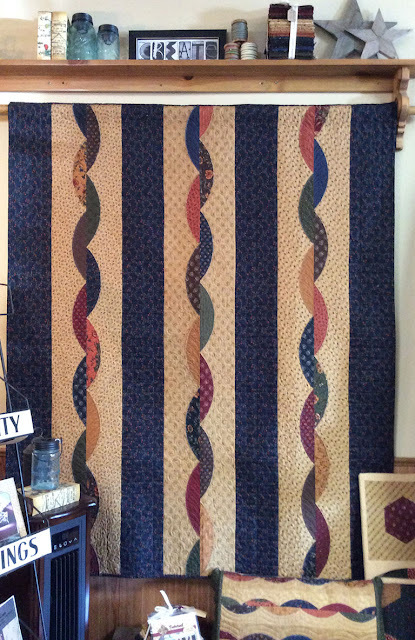 Harold & Cindy Havard of Flash Sew & Quilt in Naples, Florida were our hosts. 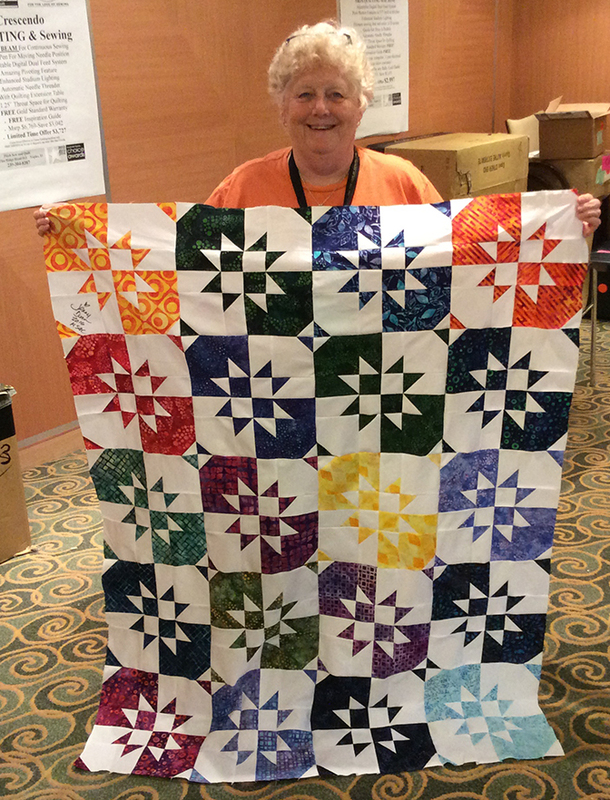 They worked with BAby Lock to provide sewing machines for each quilter. Our thanks to Aurifil thread for providing the perfect colors for both Jenny's and my projects. It's the best thread ever! Thanks, too, to Moda Fabrics for adding mini charms to the ladies' goodie bags. Love you guys! The ports of call for this cruise are wonderful. Robert and I love St. Thomas and St. Martin - the beaches, the shopping, the local cuisine, the warm tropical breezes and no bugs! We found some island treasures and a little too much sun. Robert is just now peeling down to his original color :). 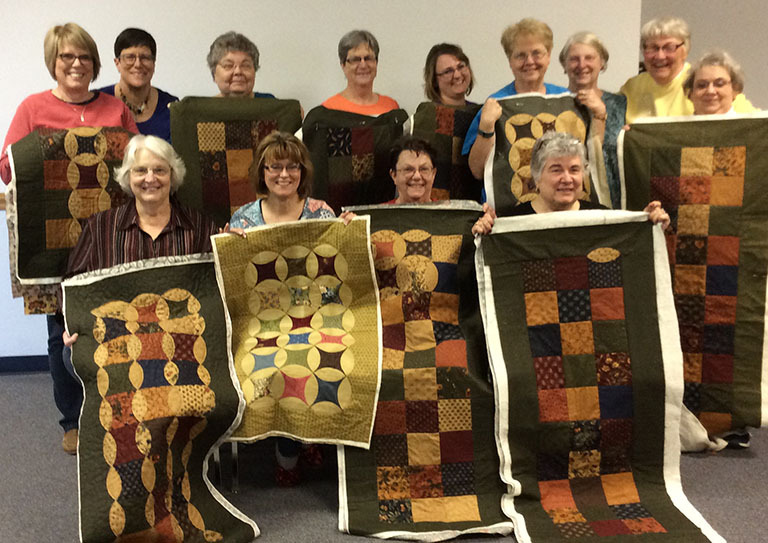 We had a delightful group of 78 quilters who entertained us as much as we taught them over the 3 days of workshops. There were ladies from Australia and Wisconsin, Kansas and Canada, Florida and Montana and everywhere in between. Some came with friends, some traveled alone, but made fast friends in class. 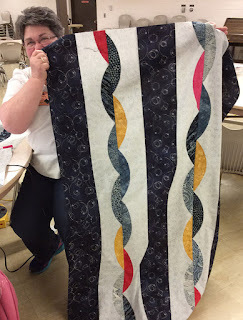 You're never truly alone in a group of quilters, right? Here's my "home girls" from Kansas. They stay at our KT Retreat each year and followed me all the way to the Carribbean! 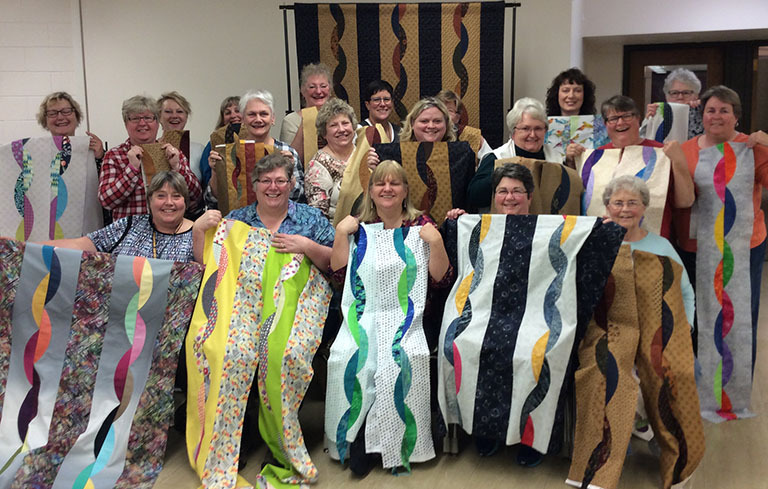 This group of quilters hail from Newfoundland, Canada. They added alot of personality to the room for sure. 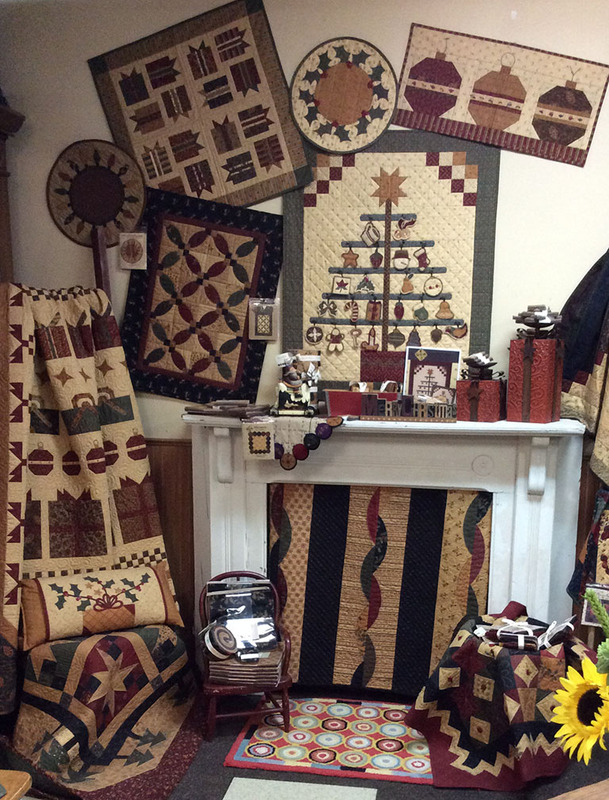 Jenny's project in beautiful batiks by Carolyn Mathauer of IN. This is my cruise project, Stars & Bars. Here's the Scrap Happy Pillow Topper we made. Can you tell how much fun we had? You can see from the finished results that both of our projects were doable in just a day or two. That was the point! Jenny and I both believe in teaching a technique that can be utilized after you return home. We're teaching at Missouri Star's Retreat in August, then another cruise in January 2017. Don't hesitate to put your name on the waiting list. You'll receive info on our upcoming 2018 cruises first! Stay tuned next week for a sneak peek at the projects I'm working on for Spring Market. If you like acorns & leaves & fall colors, it will speak to your heart. 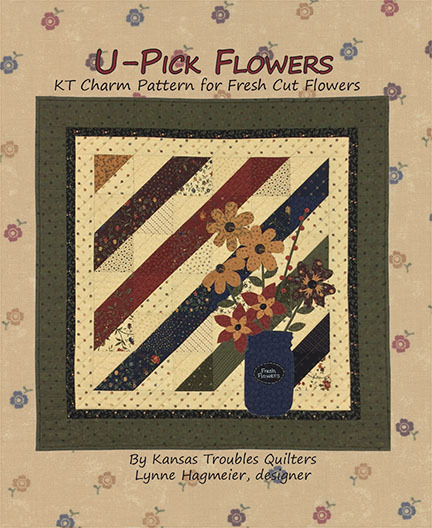 Comment here for a chance to win a surprise box of tan KT scraps - more than 1/2 pound - of assorted tans from more than 2 dozen collections. I'm sorting through odds and ends of scraps in my studio. Don't miss a chance to take advantage of my spring cleaning! 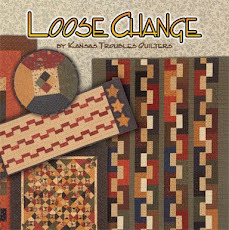 Linda Schantz - I love the twisted quilt! This a must on my to do list. 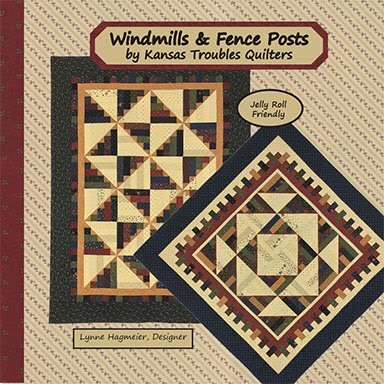 I have taught 2 grandaughters to quilt and so far the youngest (5) is mad about all of your fabrics. 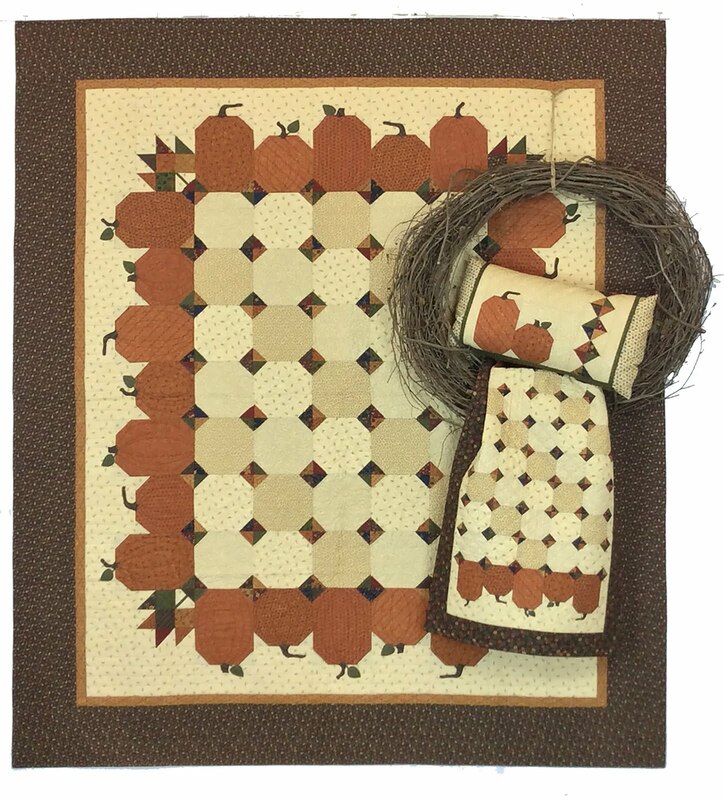 We are making baby doll quilts..excited for the Christmas line to! 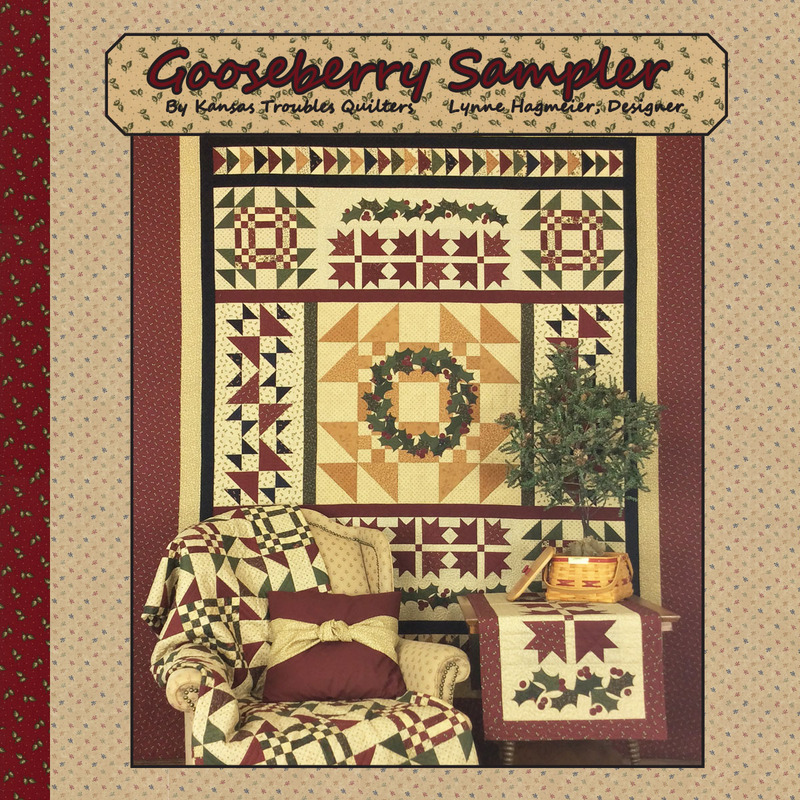 You're the winner of this week's trio of Christmas patterns. 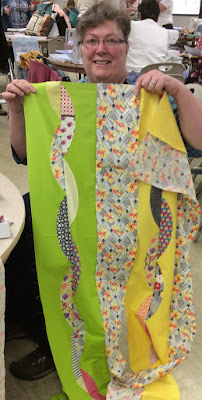 Enjoy your time sewing with your grandaughters. They'll remember those special times forever. Coming to a Guild Near You! Robert and I just returned from a trip to Iowa where we were hit by the last blast of winter, making us even more anxious for our upcoming cruise. We spent time with a delightful group of ladies in Iowa City from the Old Capital Quilters Guild on Monday for a workshop and trunk show after spending Friday and Saturday with the lovely ladies from the Iowa Quilter's Guild in Fort Dodge, IA. 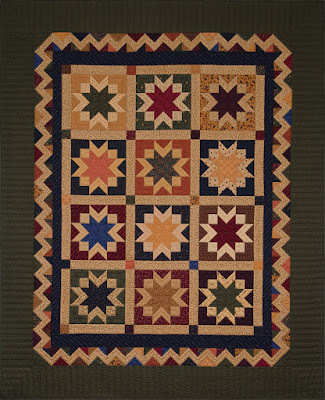 Here's a look at some of the results from these very prolific quilters. Cindy Kaufman (left front) and her cohorts in quilting. I had a great time hanging out with this tight knit bunch of quilters who get together regularly for retreats and small group meetings in addition to their regular guild meetings. Laughter and stitching were the order of day. Who wouldn't love it? 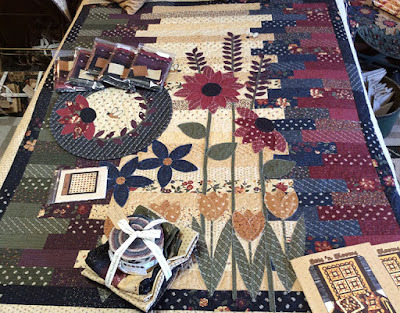 The first day was spent learning my Layered Patchwork method with Barn Raising. Blocks were stitched and setting options discussed. 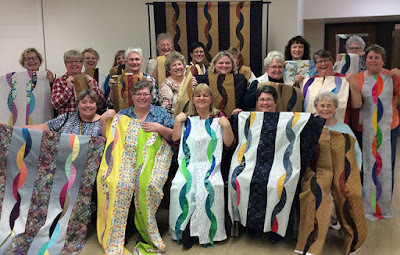 More ladies from the guild joined us for a casual evening as I shared my quilts and humble beginnings with Moda during a trunk show. By the second day, you can see how quickly they utilized their newfound skills in the Seedlings runner class. Great job ladies! R and I spent the day Sunday shopping and snacking our way across the state to Iowa City for a workshop/program on Monday. More than 2 dozen quilters took over the church basement to get Twisted in a myriad of color options. Here's a partial group posing with their nearly completed projects. Gray splatter with brights - so fun! Love this indigo Twisted with a bit of bright attitude thrown in for good measure. 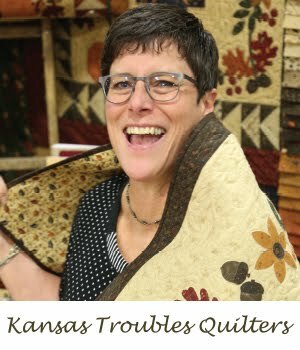 Kinda like the quilter peeking out from behind her quilt! 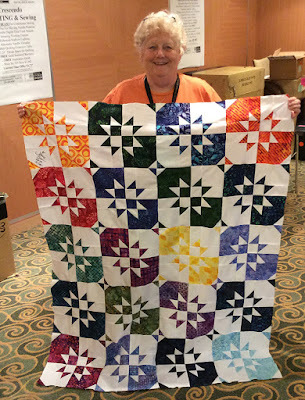 A Jen Kingwell fan delivers in sunshine colors. 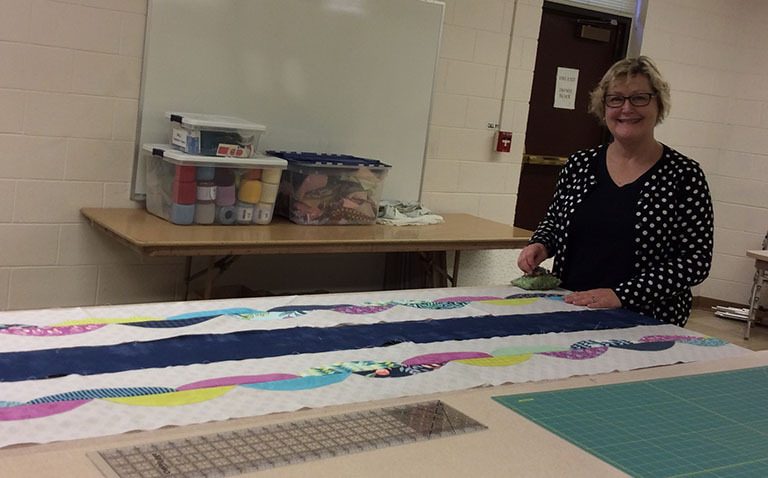 One of Moda's own blog writers, Linzee McCray, is no less than President of the Iowa City guild. 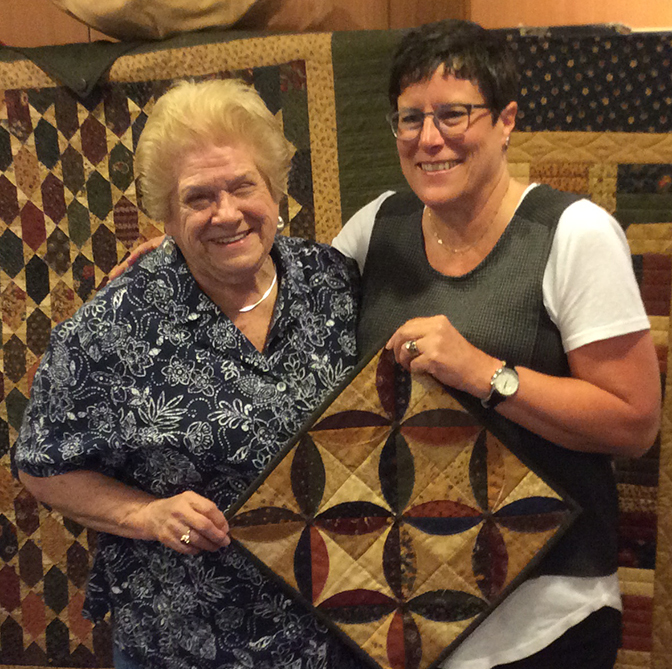 It was great fun to spend the day with her as she worked on her Twisted quilt. She chose a Jelly Roll by OneCanoeTwo with an array of brights and Moda's new Grunge navy as sashing strips/borders. Very cool! I love it when I can visit a couple different guilds in one trip - less expense for the guilds and makes our driving time worthwhile. 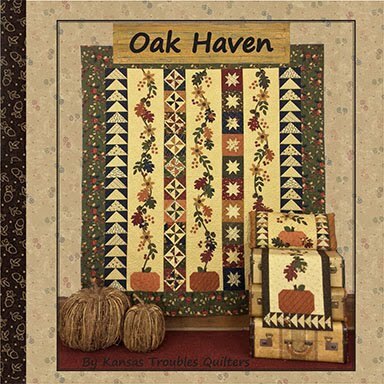 Speaking of driving, Robert and I will be traveling to California in September this year to visit the Orange Grove Quilters Guild in Garden Grove, CA. We're hoping to add another guild event in CA during our trip. Anyone interested in learning my layered patchwork technique? We're available Sept.8-12th, depending on your location. Please email me if those dates might work for your guild. The more, the merrier! 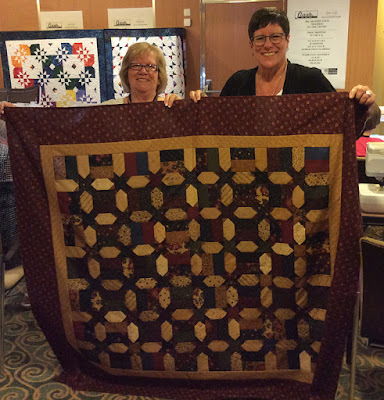 We have 2 days at home to unpack, do laundray, repack and catch up before heading to Florida for our 2nd Jenny Doan/Lynne Hagmeier Quilting Cruise. Our cruise for Jan. 2017 is sold out, but as soon as I have information for 2018 Cruises, I'll announce it here. 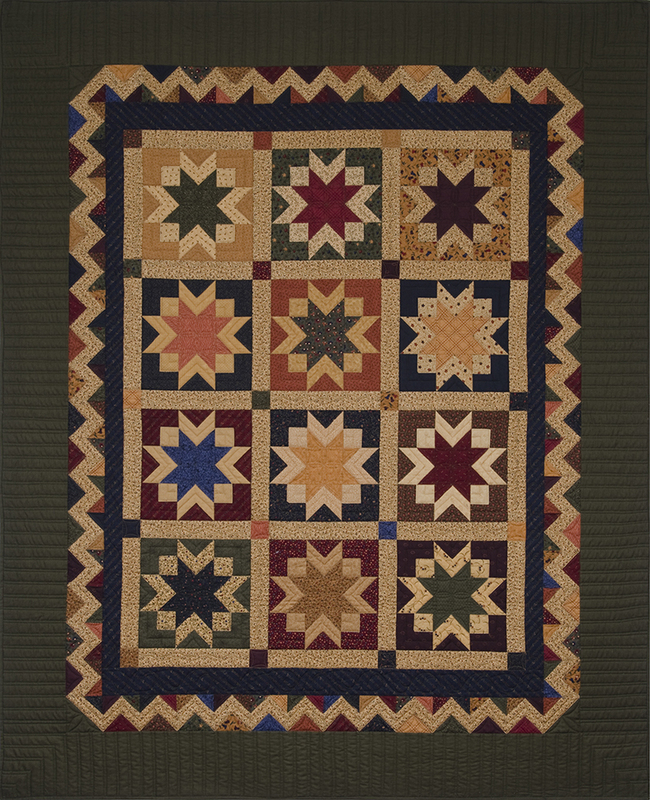 It's the most fun way to quilt for a week, enjoy wonderful meals & room service, and visit exotic ports. We love it! After some fun in the sun (and the classroom) we'll be home for a couple weeks, then off to Salt Lake City for Spring Quilt Market in May. Always such a good time catching up with designer friends and shop owners. 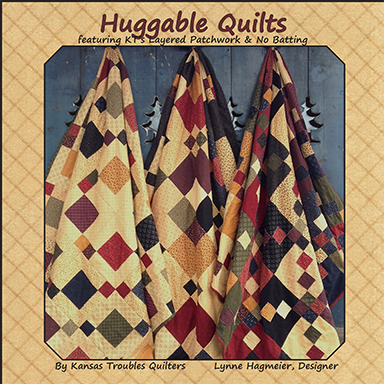 June 1-4, I'll be in Peoria, IL hanging out with the ladies from Gems of the Prairie Quilt Guild. 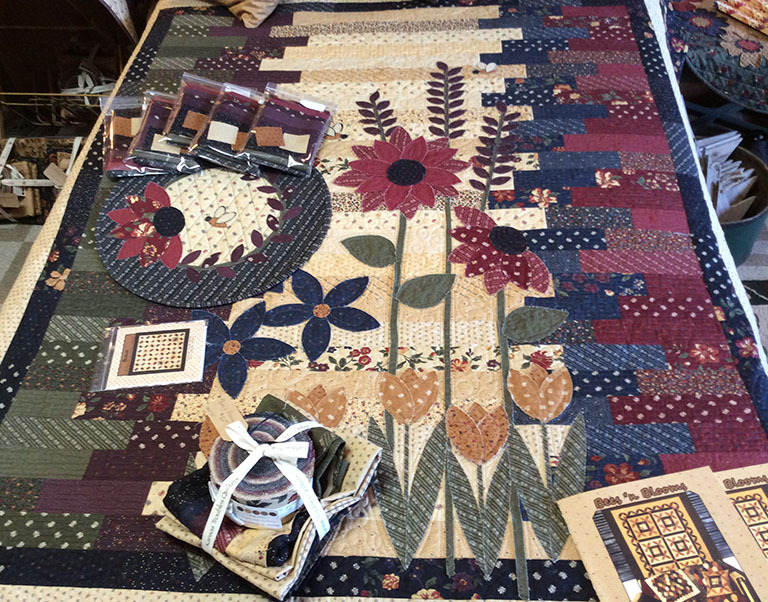 Join us for Delainey's Twirls & Swirls, Clara's Garden or Makin' Honey Mini from the new Bees 'n Blooms collection. Contact Laurie Baker for more information - lbaker1015@comcast.net. We're taking some time for family most of the summer, then I'm headed to Missouri Star in Hamilton, MO to teach a retreat with Jenny August 25-27th. Call MSQC for more info. 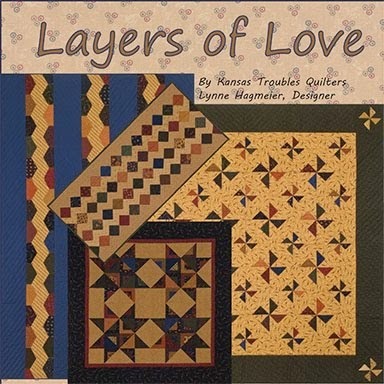 I'll be teaching 30-Something, from Layers of Love. 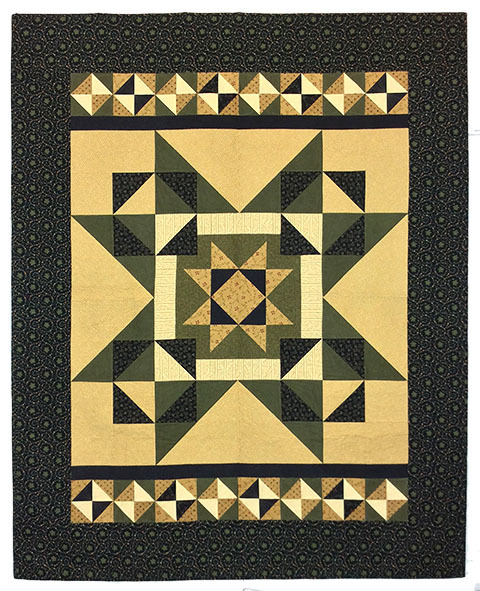 Here's a look at this charming doubled star in beautiful batiks. 30-Something by Nola Hartman, glowing in batiks. I'll be back April 25th after the cruise to share all our sailing adventures. Comment here to win a pack of cruisin' surprises! Bees 'n Blooms, then Christmas is just around the corner! 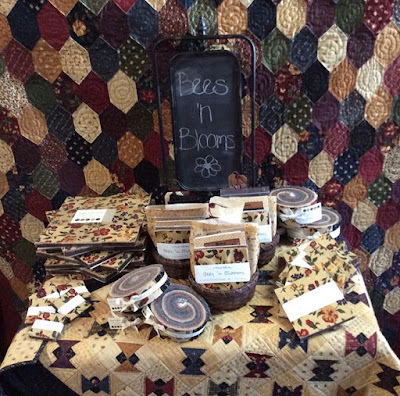 Bees 'n Blooms is Here! We're so excited our newest fabric line is finally in the store. 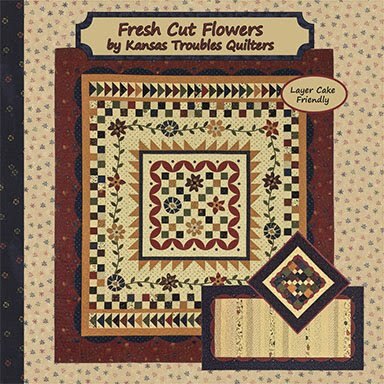 Bees 'n Blooms precuts arrived a couple weeks ago, but no yardage until last week. 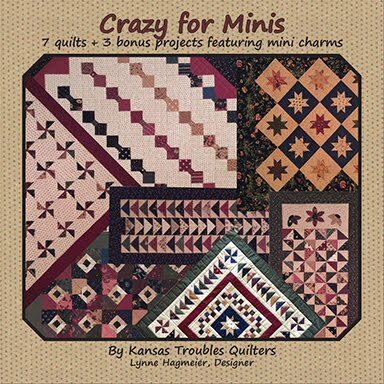 Now it's time to make dozens of kits on preorder, tie up fat quarter bundles and make room for all the new quilts. My favorite time at the store! Here are a couple of the new displays you'll see if you stop by. 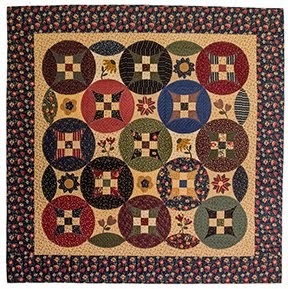 Bees 'n Blooms Precuts with Buzzz charm quilt. Makin' Honey in the background. 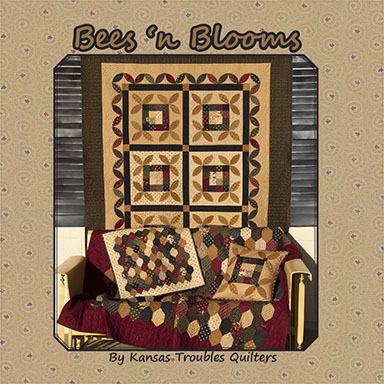 Bees 'n Blooms & Blooms MTT on the Murphy bed. Could it really be time to start thinking about Christmas menus and decorating and wrapping presents again already? No! 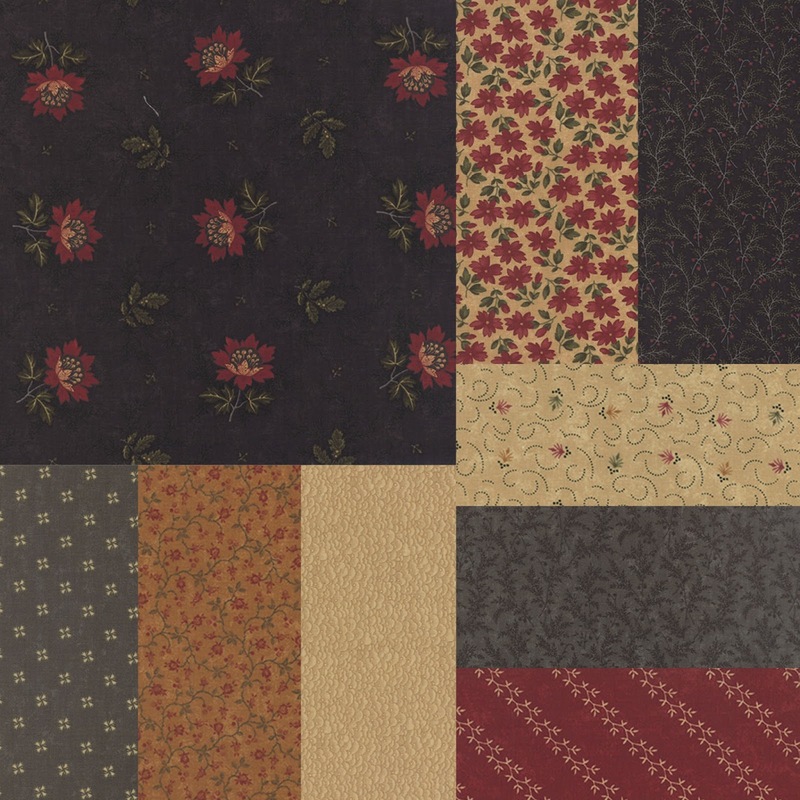 But it is time for the best part of Christmas - buying new fabric to make gifts for everyone on your list! 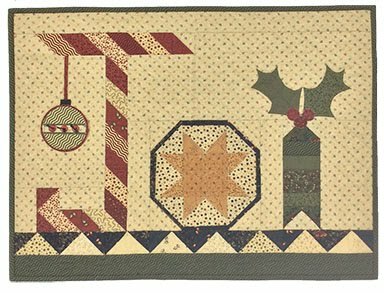 Christmas fabric collections will begin arriving in quilt shops soon, and KTQ is no exception. Our group this year was inspired by the bright little red buds poking thru the crust of snow in the pastures here in Kansas, our Prairie Cactus. 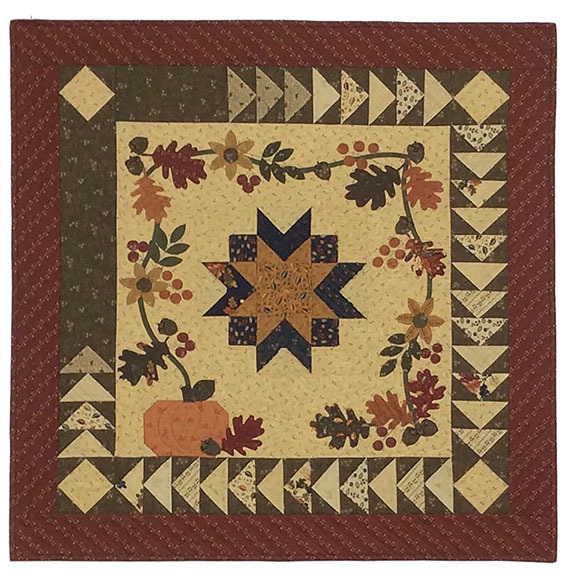 The feature fabric and other spiky, prickly images in the coordinating prints reminded me of walks in the snow as a kid when we discovered these bright spots amidst the winter's gray. 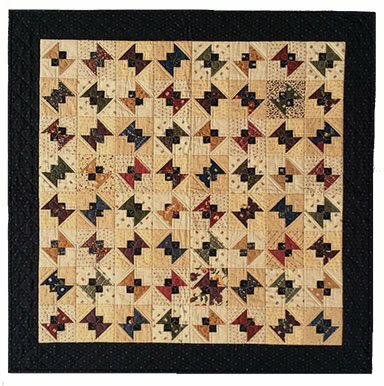 So, get out your notebook of saved ideas and take some time to peruse your list of "to-do" quilts. 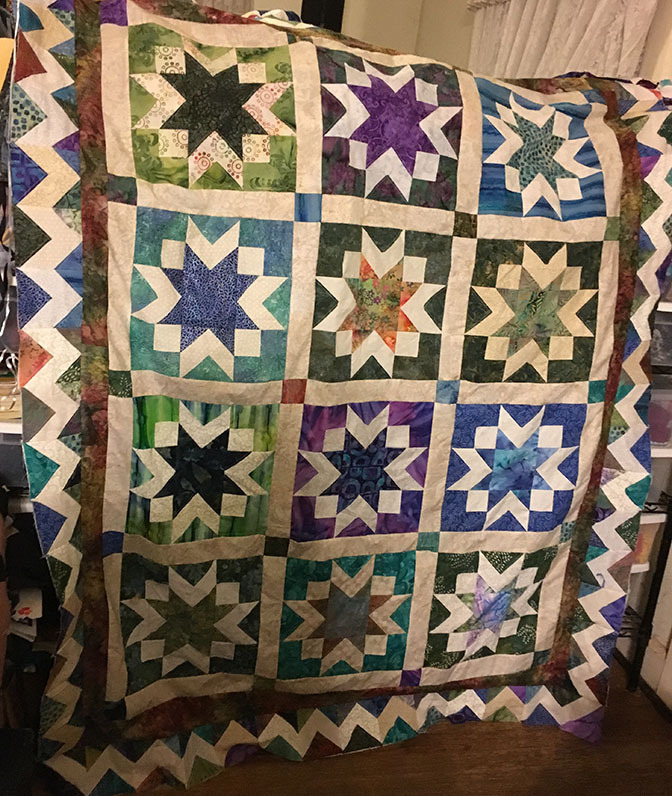 Need a simple project for a college grankid? Twisted fits the bill. 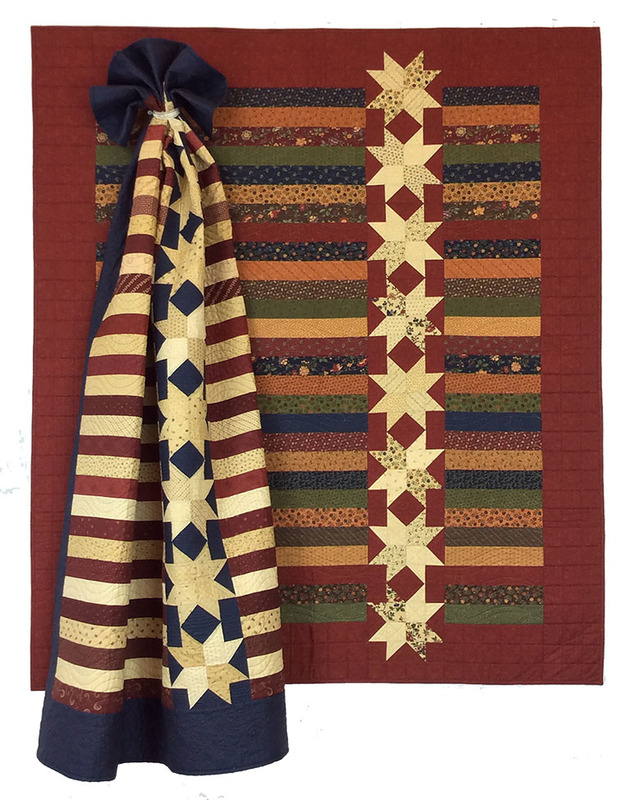 It's an easy strippy quilt using a Jelly Roll, our KT Wedge Template and a few fabrics for background. 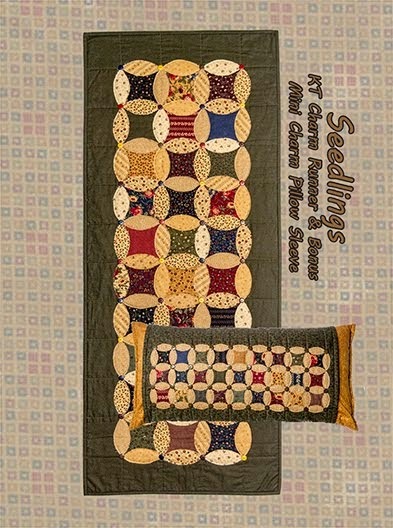 Make it longer for a dorm bed easily by extending the strips to your measurement. 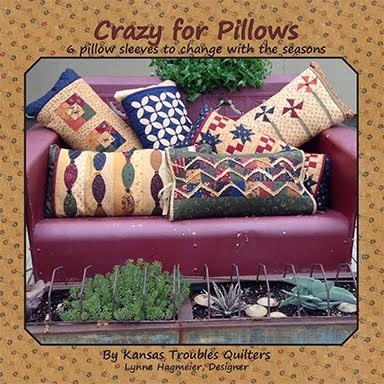 Here are a few other ideas from KT Christmases past. 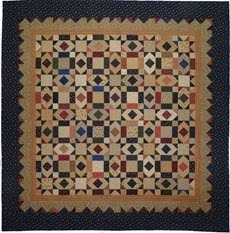 Check out all our Christmas quilts and projects at our website, ktquilts.com. Twisted in Christmas prints hung in the fireplace. 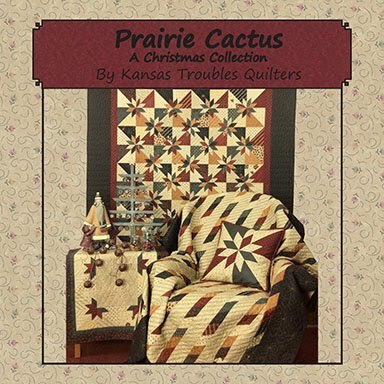 Stay tuned thru April and May for more peeks at the Prairie Christmas projects. 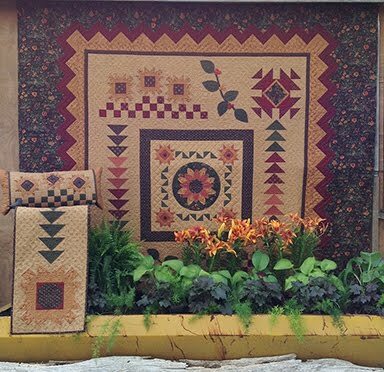 Comment here for a chance to win a surprise pack of (3) Christmas patterns from the picture above. Don't you just love a mystery?